This academic year is barely two days old but that hasn’t stopped one of our students from achieving. While many children were taking the vacation time to catch up on the latest computer game Jacob was knuckling down to ready himself for the new year. 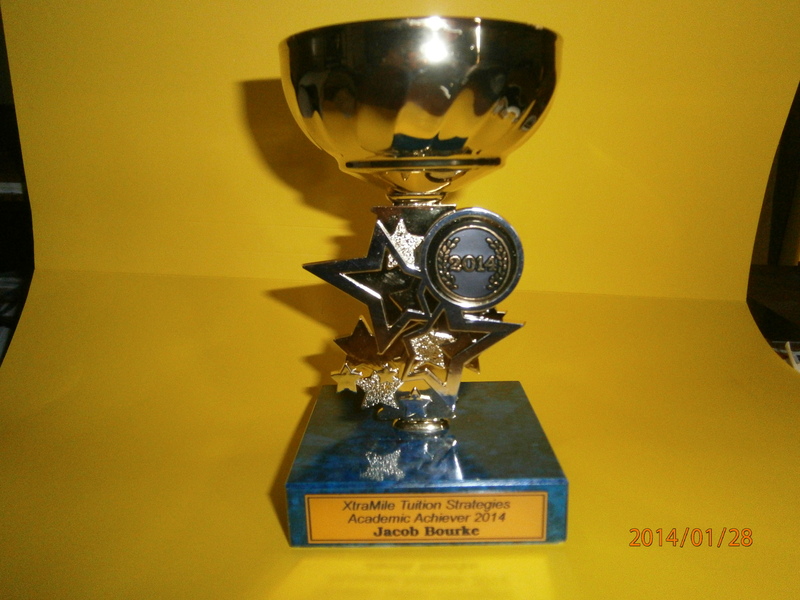 At XtraMile Tuition our students receive rewards for effort and Jacob received his first trophy for gaining 150 Study Points. Well Done Jacob!